For his entire school career, Matthew had a spelling list. Between 5 and 20 words (depending on what grade he was), to be memorized by the end of the week and spit back for Friday's spelling test. When he got to 5th grade, vocabulary was added, so instead of knowing just how to spell the word, he needed to know what it meant, frustrating him further. Let's just leave it at "He had the grades to prove that this method was not the best way for him to learn," shall we? 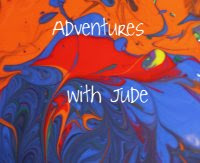 The developers research-based studies have shown that all students go through this same process, each at his own rate. However, what makes their program so different is they don't believe in a "here's a bunch of words that go together, learn them all" process. Yes, the early levels of spelling focus on phonics, but as a means to giving a child language skills. B says /b/, A says /a/, T says /t/, so if you see the word "bat" you know how to sound it out; if you want to write the word "bat" you need the letter that corresponds to that sound. Makes sense, right? Until you get beyond CVC words, and the odd CVC-silent E (that's an easy rule). Have you ever read aloud the poem "The Chaos" by Gerard Nolst Trenité? Here's an excerpt. Once a student masters this level of reading and spelling (and they readily tell you, it can take several years), he is ready to move on to manipulating these words. I have to say this makes sense -- yes, you know the rule is "drop the e and and -ing" but knowing the rule and being able to apply it are two different things. Again, using contextual passages, the student works with words to manipulate them with prefixes and suffixes to create new words and meanings. 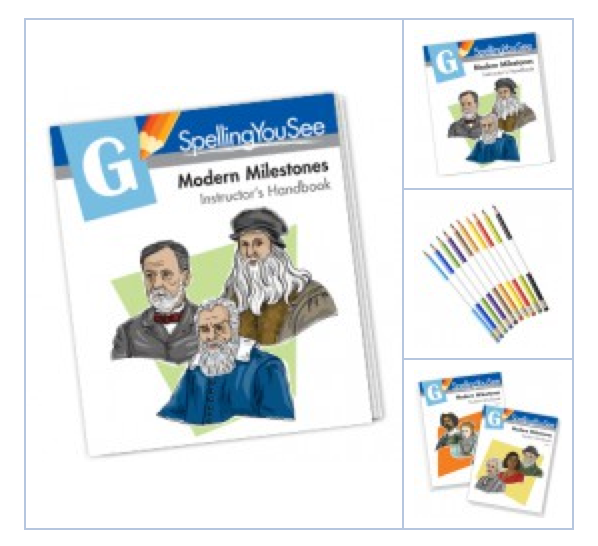 The Modern Milestones program includes a student package of workbooks and colored pencils (to make the books manageable, the 36 lessons are divided across two volumes) and a a teacher's workbook. 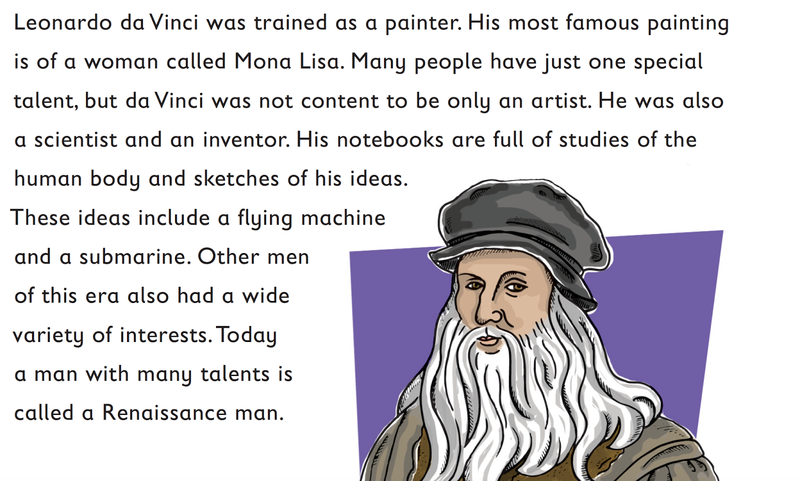 Each lesson works with a reading passage that focuses on an artist, scientist, or other innovator that has influenced the modern world. By using these themes, yes, the student is getting a bit of a "history" lesson, but it brings the words to life through real use, rather than being a random list that doesn't have any cohesive feeling to the student. Rather than learning a list of "rules to apply," he's learning how to use the rules in real life. I can remember back when I was in fifth grade, my language arts teacher Sister Kevin Mary employed the "see it - say it- spell it" method of teaching spelling. For a nun, she was sneaky -- because using this method, you also *heard* it. (In my mind, I can hear a chorus of thirty-odd voices sing-songing our way through our spelling lists.) She employed three of the five senses - sight, hearing, and touch (as you wrote the word) - to help cement the words in our brains. For me, spelling was no longer something I dreaded - because after saying the words aloud so much, I almost could hear a musicality to the words. Music lyrics and poetry are easier to learn than lists because of their innate rhythm (explains why I can't let go of wanting to build snowmen!) - how often do we make up a rhyme to remember something important -- like "i before e except after c"? Spelling You See uses a similar tactic - seeing the words, reading aloud to say/hear them, but using them in passages that create a rhythm. Leonardo da Vinci was trained as a painter. His most famous painting is of a woman called Mona Lisa. Leonardo da Vinci/ was trained/ as a painter. His most famous painting /is of a woman /called Mona Lisa. By reading aloud, the student learns to pronounce the words, which in turn helps with learning to spell - Leonardo is spelled pretty close to phonetically, and the c in Vinci stands out in your mind because you hear it making a /ch/ sound but know it's only a single letter. In the second sentence, you get context clues that Mona Lisa needs capital letters - it is the name of a woman. Reading aloud is the first step in every day's lesson. Regardless of what follows, the student reads the passage aloud to employ the see it - spell it connection. Modern Milestones contains 36 lessons with five sub-lessons. Matthew completed one sub-lesson per day, but a student could easily go more slowly (doing reading + one or two tasks each day). 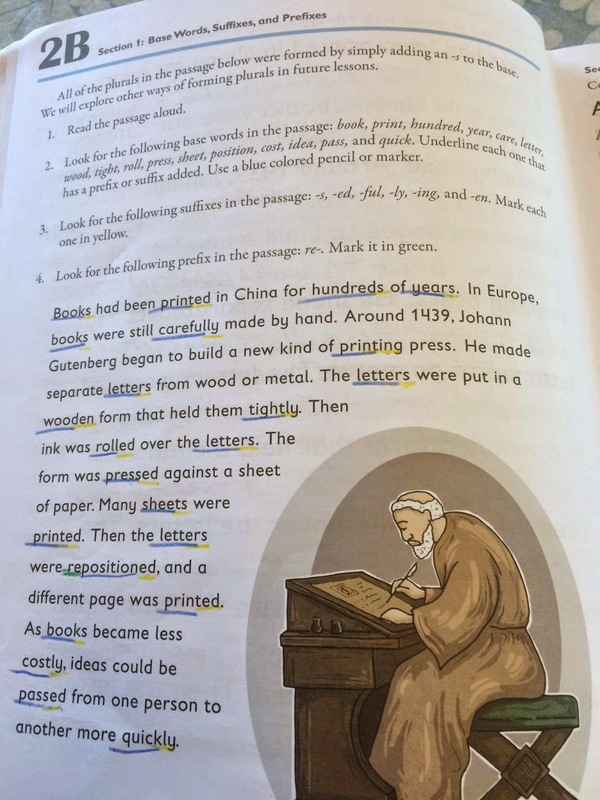 In this text, the student learns to manipulate words by looking for a list of root words (technically, the "spelling list") and then finding a set of prefixes and/or suffixes that are used in the passage. Using different colored pencils, the student searches these out. Next comes copywork. How many times does someone say to you, "How do you spell ... ?" and you say "Uh...hand me a pencil?" So many times, we know how words should be spelled by looking at them. By copying the words after reading them, there is an inherent way of checking to make sure that they are right, and the student is learning them correctly. Day 3 was probably Matthew's favorite day - there was no copywork! (Look at his handwriting -- you can guess why he liked Day 3.) Again, there was reading aloud, but it focused more on using skills learned in a more applied setting. For example, the word "repositioned" in this passage gets a context clue -- Gutenburg put letters in a form, printed a page, and then "the letters were repositioned" to print a different page. Here, the prefix re- (used to show something is done again), is manipulated with other words to increase vocabulary -- no matter what word you added it to, you know it was "done again." The last two days include re-reading, re-marking, and then dictation instead of copy work. This was tough at first for us. Matthew tended to be very sloppy because he was afraid he couldn't keep up, while I had to work on slowing down my dictation instead of being caught up in the rhythm. It took a little bit, but we've finally found common ground. In the teacher's manual, each passage has a "word count" at the end. At the bottom of the student's dictation page, it says "I spelled ______ words correctly." To quantify an assessment, all I had to do was count up the mistakes, subtract them from the count, and write the number at the bottom. 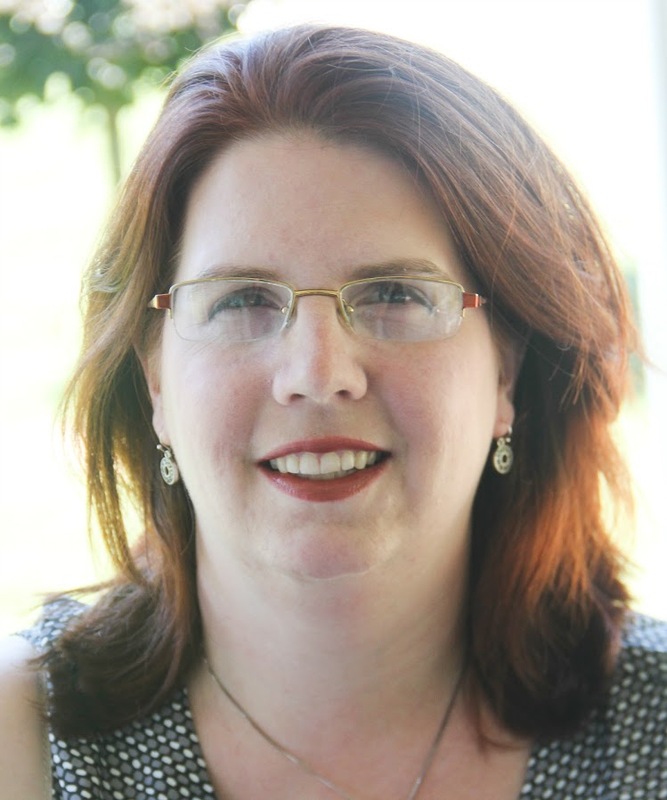 If you don't do actual "grades" in your homeschool, it still gives you an idea of how proficient your student is; if you do need them because of your state's laws, it's easy to calculate a submittable grade. Prior to the last year or so, I had never heard of Spelling You See. 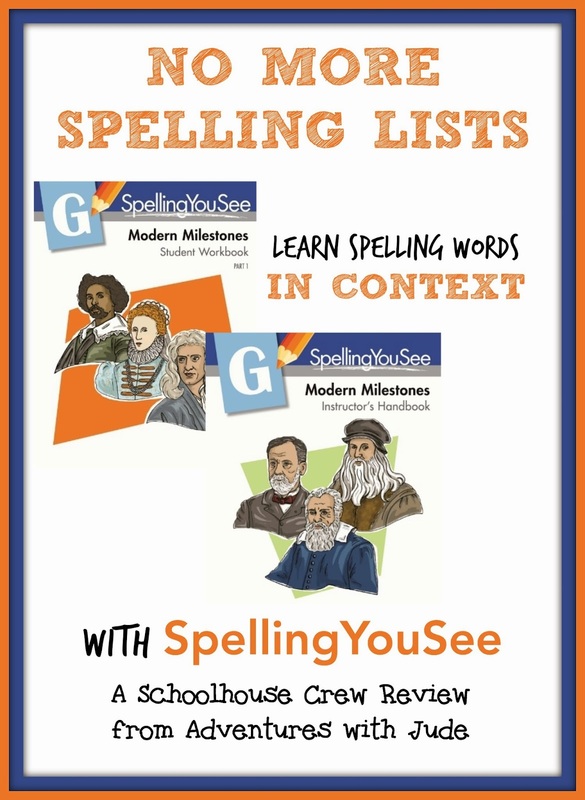 I think this is a great program for students who have a more visual feel for learning spelling, or a need for more context clue. The passages are well-written and interesting, feeding his need for knowing random "stump your friends" facts (did you know that the great painter Boticelli once worked for a goldsmith? ), and create contextual applications of spelling that he can apply to concrete writing situations. I wish we had known about it before now, because I think it would have made Matthew a more confident speller from the beginning. We're still trying to overcome the "I can't spell and have the test grades to prove it" attitude, but are slowly getting there - seeing frequent near-perfect scores on spelling passages is helping him realize he's not inherently a poor speller, but maybe a poor list memorizer. For more about the Spelling You See family of programs, follow them on social media or read the other Crew reviews by clicking the banner below.